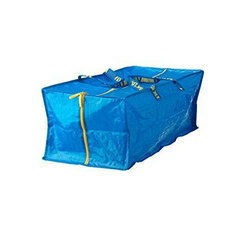 Tarpaulin Bag in various sizes, dimensions and colors. Tarpaulin is manufactured both/single sided laminated. It protects and covers goods from heat, water, and dust. Our products are used to in the industries like cement, food grains, chemicals etc. These can also be used as ground cover or emergency shelter. The products are easy to clean and convenient to use. We are engaged offering a wide range of best quality Tarpaulins Laminated Bags to our clients. 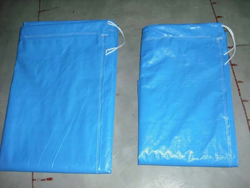 These Tarpaulins Laminated Bags are widely known to be manufactured using good quality material. These bags are strong, water-resistant and of flexible material. Our Tarpaulins Laminated Bags are available in standard and customized sizes. We offer a comprehensive range of HDPE Tarpaulin Bags that re made in compliance with international quality standards. These high density bags are appreciated for their superior quality and durability. Available in various shape, size and weight, these meet the requirement of diverse industries across the country.